Feast your eyes. 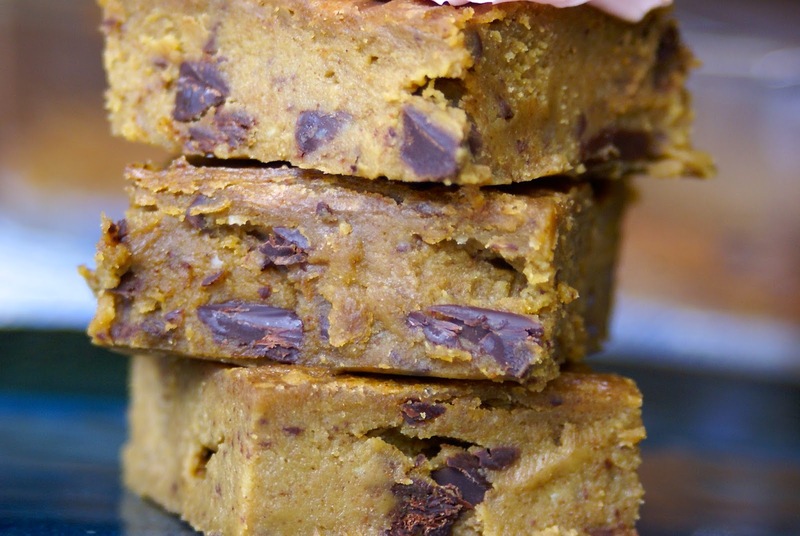 You’re looking at chewy, drool-worthy cookie squares, studded with dark chocolate and packing a whole lot of yum. While I am usually a chocolate on chocolate girl, I make the exception for anything cookie dough. Blondies are very close to that classic cookie dough flavor, and I’m have been known to chop them up and add them to ice cream. 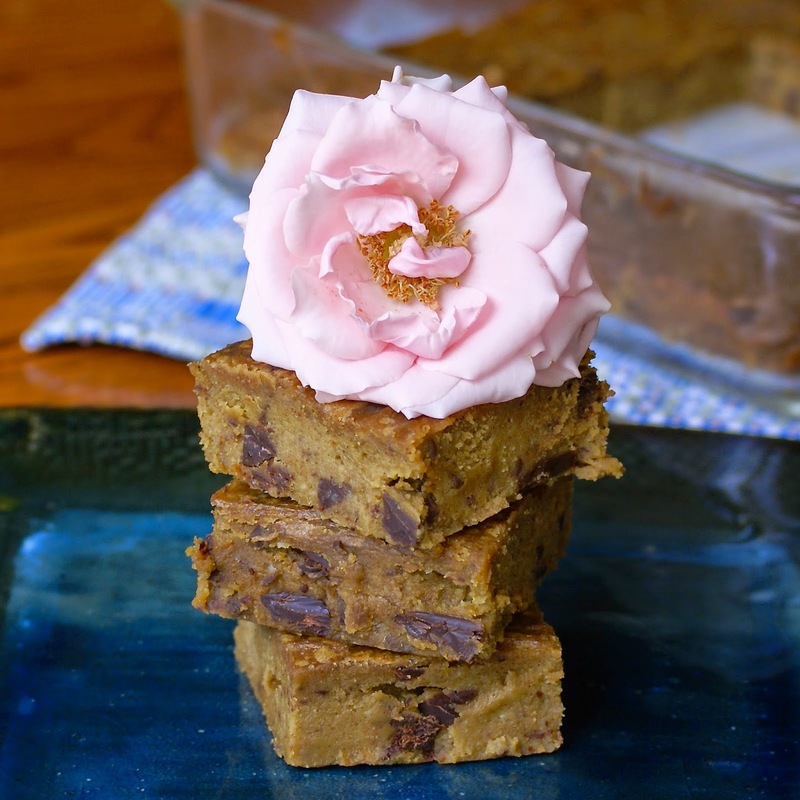 With my childhood love of cookie dough ice cream in mind, I set out on a quest to make the most delicious (healthy) chocolate chip blondies that would fool even the biggest junk foodies. To say I was successful is an understatement. 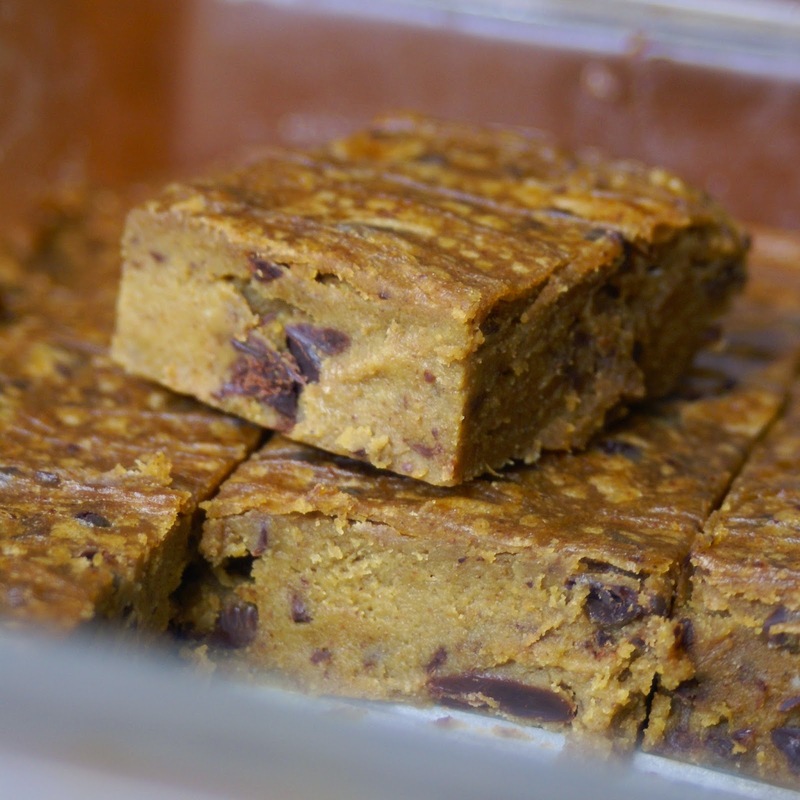 These blondies came out much better than I can have ever imagined, especially considering what I used to make them. Would you believe me if I told you these are flourless and made with a base of avocado and almond butter? How about they are sweetened slightly with pure maple sugar and studded with homemade healthy chocolate? Believe it! They came out perfect. What I was most surprised with was the color. They are golden-brown, exactly how a blondie should be, but with pureed avocados in the batter I was worried they would have a weird green hue. If they did, I would still eat them anyway, however they might not look as pretty in the photographs :O. My favorite way to enjoy these gems is frozen and chopped up over some “nice cream” aka blended frozen banana with a splash of non-dairy milk. I will never out-grow chocolate chip cookie dough ice cream! However, these with a nice cup of coffee or ice cold coconut milk works as well. Trust me on this one, you need these in your life! 1. Preheat the oven to 325 F. Line a 8×8 inch baking pan with parchment paper and grease it with coconut oil. 2. 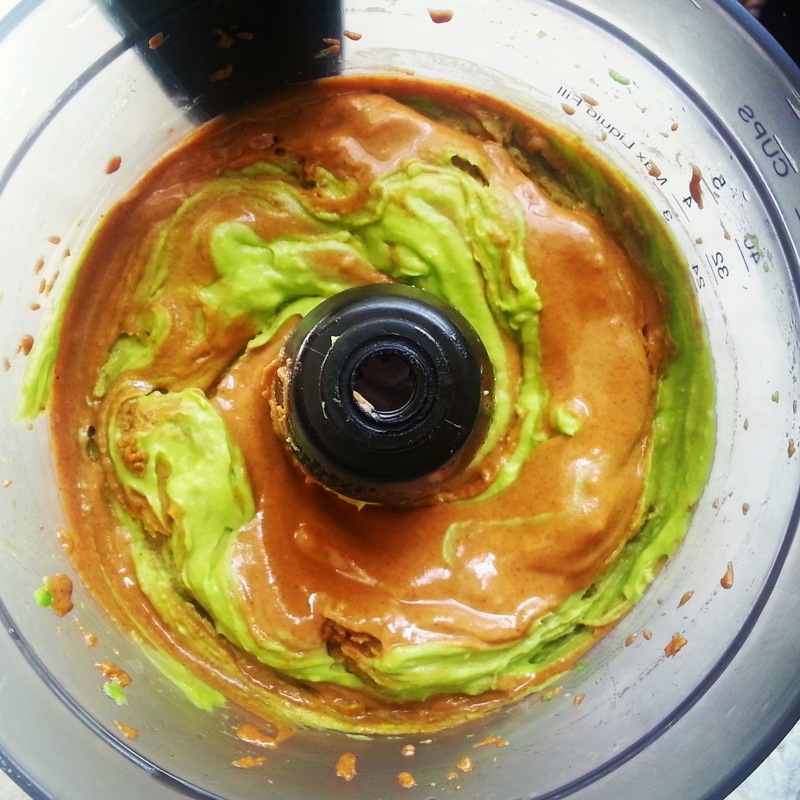 Add the cubed avocado to the base of a food processor and blend until smooth. Add the almond butter and vanilla and blend until smooth. 3. Add the maple sugar and salt. Blend until smooth. Stir in the chopped chocolate. 4. 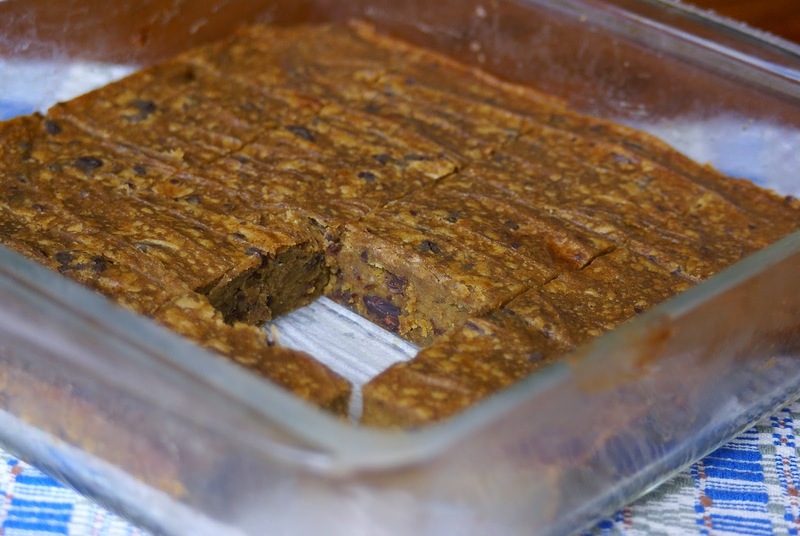 Scrape the batter into the prepared pan, and gently spread it evenly over the entire surface. 5. Bake for 30 minutes, or until the top is golden brown. Let cool for at least 10 minutes before cutting. I love Starbucks brand instant coffee, the unlabeled ones of course 🙂 I've also used finely ground espresso beans before for this recipe and other baked goods and it works well. Oh my, major typo in my comment! I meant unflavored instead of unlabeled, sorry about that!! I am allergic to nuts. What could I substitute for the almond butter? Would Coconut oil work? Coconut oil would probably not work as it is a pure fat and would be a bit greasy. You could try coconut butter, which is the whole pureed coconut meat instead of only the oil extracted from the meat, and that would provide the same consistency as almond butter. You could also use any seed butter you want – tahini or sunflower seed butter! Hope this helps.